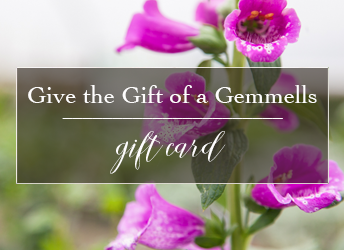 Gemmell's Garden Centre Gift Cards are available in $25, $50, $75, $100 and $200 denominations for our Smiths Falls & Brockville locations. For your convenience, gift cards can be mailed to you via Canada Post or picked up at our Smiths Falls or Brockville location. Please advise us of your preferred method (ship to you or pick up with location) in the notes section of your checkout. If we do not see a note, we will will mail your gift card to the address you provide upon checkout. This gift card may be used for making purchases at both of our store locations. Currently, gift cards may not be used to purchase items via our online shop. If you’d like a Gift Card in any other denomination, please contact us. Gemmells' is Your Ottawa Valley Garden Centre! The value on this gift card will not be replaced if the gift card is lost or stolen. This gift card has no cash value. Gift cards may be used at our Smiths Falls and Brockville location only. Gift Cards Payments are processed via Paypal. Purchase, and use, of this gift card constitutes acceptance of these terms and conditions. Note: Please advise us, in the notes section of your checkout, whether you would like the gift card mailed to you or if you will be picking it up in our Smiths Falls or Brockville Location. If we do not see a note, we will will mail your gift card to the address you provide upon checkout.